On the day of your visit to our Grand Strand area office in Little River, SC. 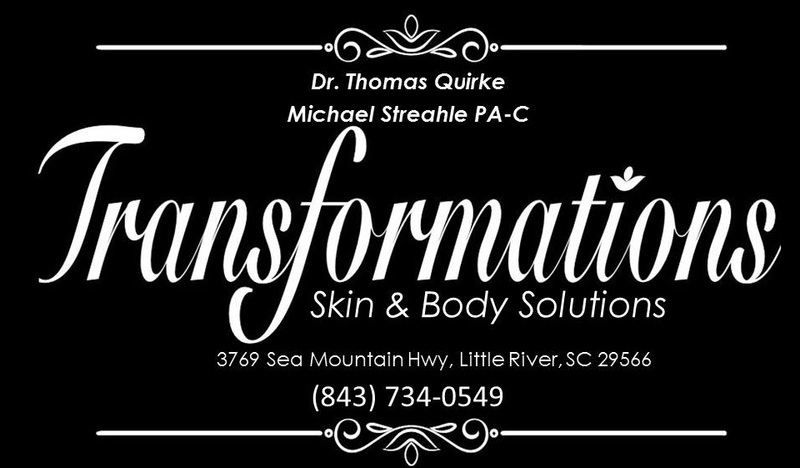 When you arrive at Transformations Skin and Body Solutions for your appointment please bring your insurance card. Be sure that any required referral has been processed. Insurance co-pays are expected to be paid at the time of your visit. We also welcome Self Pay patients. Please call your insurance provider prior to your first appointment to confirm that we participate in your insurance plan. Please be aware of your individual deductibles, co-pay and co-insurance amounts. Insurance coverage does not guarantee insurance payment. You will receive a statement that lists any unmet deductibles, co-pay and co-insurance amounts due after your insurance has paid the portion covered by your plan. Prompt payment is appreciated. Often procedures require a prior authorization (PA) from your insurance company. Our office will assist in obtaining this authorization from your insurance company prior to your procedural visit. This requires substantial work and may be a lengthy process, so please do not hesitate to contact our office to check your prior authorization status. Cosmetic treatments are out of pocket non-insured billable expenses. Making a cosmetic consultation will enable you to determine the best treatment plan for you.